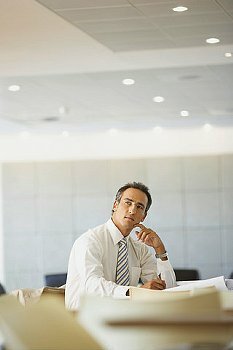 In the American workforce, the cost of absenteeism for a single employee is an estimated $2,650 per year. Imagine then, the financial hit for company when influenza travels around the office. Yet, infections aren’t the only thing that cause employees to miss days or lose energy. Allergens, dust and volatile organic compounds are all common airborne particles in shared office spaces, negatively affecting productivity and focus. With most employees spending eight or more hours each day in workspaces, poor indoor air quality can be a detriment to long-term health. What qualifies a green office? 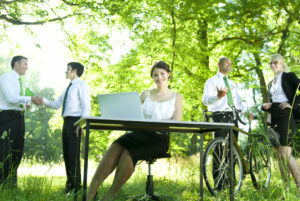 Indoor air quality is an essential component of green offices. The Environmental Protection Agency uses several other criteria for identifying green buildings, including energy and water efficiency, reduction of waste and sustainable practices. In the long run, bringing green practices to your office will use up fewer resources, be less damaging to the environment and protect human health. Removing contaminants from the air is essential because many older building materials are chock-full of volatile organic compounds and chemicals. Working to make your office greener can benefit employees in two ways: it creates a healthier workplace and decreases your environmental impact. In turn, an organization can confidently build a better work-life culture knowing it is promoting health and sustainability. There are numerous steps office facility managers can take to promote healthy indoor air quality, but one method stands out above the rest – professional-grade air purifiers. Since germs and other contaminants constantly enter indoor airspace from outdoors, it’s necessary to have strategically-placed air purifiers that targets problem areas to consistently clean the air. The best commercial air purifiers are an ideal “silent partner,” removing 99.9 percent of contaminants from the air and preventing the spread of the flu virus. They also seamlessly integrate into the environment, cleaning only when needed. Also, consider forming a “green team” or committee within your office to identify ways to make your organization more sustainable.